Quality: Oilgear hydraulic products in San Jose CA are based on decades of engineering and design expertise. They are manufactured to a high quality standard. Durability: Oilgear products are known for their ability to stand up to the harshest and most demanding conditions without breaking down. This includes extreme pressure environments, high flow rates, and dirty work environments. Value: Some Oilgear hydraulic products in San Jose CA, such as their pumps, provide an amazingly low total cost of ownership when you consider how they improve your system efficiency and reduce the need for repairs and replacements. Support: At Bernell Hydraulics, we take pride in knowing all about the products we carry. But if you ever have a question we can’t answer, you will appreciate the high level of customer service provided by Oilgear, especially for their legacy parts. Depending on your situation, your need for new Oilgear hydraulic products in San Jose CA may be quite urgent. 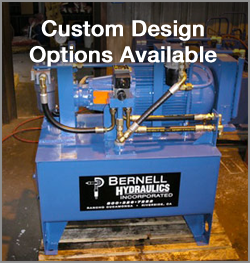 At Bernell Hydraulics, we are ready to meet even the most urgent needs with 24/7 service. Simply tell us what’s wrong and we’ll make sure the repair technician brings the correct parts. We always check our work by testing the system after installation, so you never have to worry about having to call us back to fix a problem. Buying Oilgear parts at Bernell Hydraulics is easy. Simply call us, use our online contact form, or stop by one of our stores in person.